Overseas Property Investors Know A Bargain When They See One! There has been a great deal of debate about the impact of overseas property investors and foreign nationals purchasing property within the city of London, driving up property prices and giving the UK housing market a boost. Foreign property investors purchased up 75% of new residential property developments within the central London area during the last 12 months, although many developers argue that many of these residential properties would not have been built without the up-front cash from overseas property investors. According to data from Knight Frank, foreign property investors also purchased 49% of all properties valued over £1 Million (GBP) in central London during the same timeframe, and new residential properties accounted for just 20% of these property transactions. The 10 most expensive post codes in central London are SW1, SW3, SW5, SW7, SW10, W1, W8, W11, WC2 and NW1 had 3,477 residential properties for sale. Mark has designed a one day workshop which will help you find motivated sellers, convert these leads into property deals and then support you to either grow your own property investment portfolio or become a property sourcer. In the workshop Mark will take you through his straight forward process which enables you to maximise your property investment and business resources. He does this by focusing on one area for your properties which reduces your entry costs and get better results. Mark will work through this process together with you, which will enable you to tailor it to your needs. You will gain confidence in speaking to vendors ….. 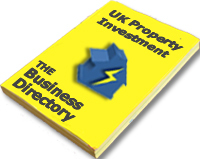 This day will also give you a range of transferable skills as the content can be used as a “bolt-on” with many other property investment strategies. Are you starting out on your property journey? Are you confused by all of the strategies out there? Are you looking from some new ideas or just losing motivation? UK property investors have known that the day would come when the rest of the country’s population would cotton on to the fact that there is money to be made from property. With newspapers and television media reporting that UK property values are experiencing the strongest annual growth for nearly two years, there is little doubt that the UK public will be able to ignore the facts for very long. The majority of the public have been made aware of the upward trend in house values and now believe that the UK housing market will favour buyers rather than sellers, over the next year. The thoughts of the general UK public are also backed by new research from the Halifax, however, only 9% of people feel truly positive about buying and selling property in the near future, suggesting the UK market may still remain quiet for some time yet. 56% of respondents think it will be a good time to buy property within the next year, and just 11% believe it is the right time to put one on the market. Halifax said that the UK was gradually becoming more optimistic about property price rises, although most people still believe any price variation within 2013 will be relatively small, with two thirds expecting fluctuations of around 5%. 62% of people believe one of the biggest challenges remains finding the money for a deposit on property, and 30% said mortgage availability would still be a challenging obstacle. According to new research by the Halifax, detached properties have increased in value by an average of £642 (GBP) per month over the last 10 years. Property investment figures released by the Halifax, showed that the average price of a detached property in the UK has grown by 38% or £77,000 (GBP) to £282,211 (GBP) since the second quarter of 2002. It is the largest cash increase in value compared with all other property types. The past decade has seen the average price of terraced houses grow by 41% to £151,568, while the average price of both semi detached properties and bungalows has grown by 37% to £165,565 and £185,365 respectively. The best-performing property type since the financial crisis hit in 2007 has been the humble bungalow. In the past five years, bungalow prices have fallen by just 19% to £185,365, compared with a 21% decline in the average price of a detached property and a 24% fall in the price a semi-detached. According to the latest property report from property advisors Colliers International, the UK is still seen as a safe haven for property investment. The Colliers report shows that overall property transaction levels remain fairly limited as property investors take stock. London continues to lead the way for the UK for international property investment, however, regional markets are seeing some movement and prime rental yields are stable. In the residential property sales market property price declines are expected to be modest in 2012 as banks and other lenders begin to push up mortgage rates. Director of research and forecasting at Colliers International, Walter Boettcher, said: “The UK economy remains flat with GDP in the first quarter of 2012 falling by 0.2% quarter on quarter. In contrast, the weighted average of purchasing manager indices over the first quarter was 54.5 consistent with economic expansion. Retail sales volume rose 0.8% over the quarter; and unemployment improved slightly, falling from 8.4% to 8.3%. Capital markets showed few effects of the announcement. Positive news from the US and successful bond auctions in the Eurozone suggest that weak performance is accompanied by stability. The downside has already been factored in and other data sources suggest greater underlying strength. The French election has also had a very limited effect. 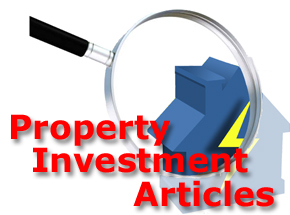 If anything, the result has boosted safe haven property investment both in the UK and Europe”.